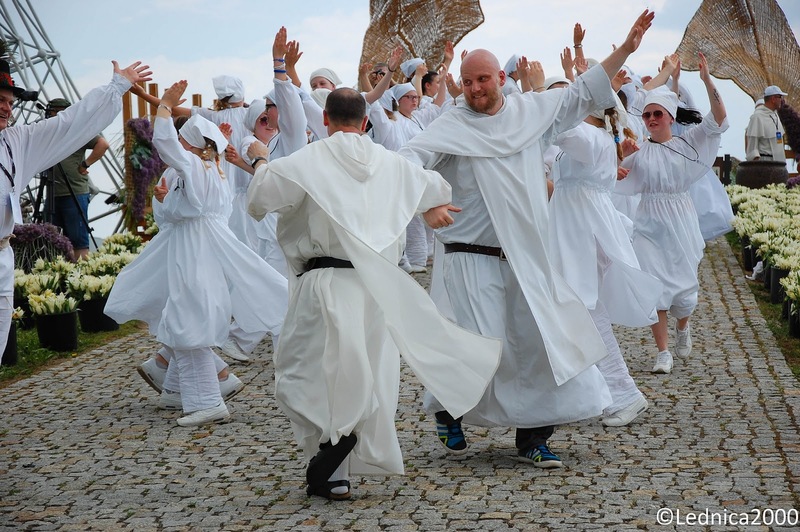 In Poland a large annual meeting of Catholic youth called LEDNICA 2000 has had a great success with 85,000 young people from Europe. The Polish Bishops and the President of Poland took part in the 22nd Youth Meeting in Lednica, under the motto “I am”. The Youth Meeting on the Lednica Fields began with a procession with relics, in which took part President of the Republic of Poland Andrzej Duda, Primate of Poland Archbishop Wojciech Polak and President of the Polish Bishops’ Conference Archbishop Stanisław Gądecki. This year, on the occasion of the 100th anniversary of Poland’s regaining independence, President Andrzej Duda gave the participants Polish flags. The Primate of Poland, Archbishop Wojciech Polak, stressed that he is very happy that the youth gathers once again on the Lednica fields. “I am happy that we come here as to a source. Father Jan told us that it is possible to imagine Christ who, like in Galilee, strides on the waters of the lake of Galilee, so he also here comes through the waters of Lednica Lake. We come to meet Jesus, to say aloud today: ‘Lord, here I am!’ – said Metropolitan of Gniezno. The president thanked the youth for accepting the flags from him. “Take them with you, have them, respect them. I am asking for that. But please, make use of them. Our white and red colours, so dear, please exhibit when there are important moments for you, for our homeland, for our history, for our identity. Also in these moments when we pray, because we have 1050 years of Christian tradition behind us, our history of building the Polish nation and the Polish state. Therefore, I thank you that you come here and pray as we have been taught by this tradition for 1050 years in this unique place – the place where the historical heart of our homeland beats” – said President Andrzej Duda. The Holy Mass was presided by Archbishop Wojciech Polak, while Archbishop Grzegorz Ryś delivered the homily, emphasizing that in the centre of the Church there is a man. “Jesus says: I am with you, you are inside, I am focused on you, I look into your soul, I do not look only on the surface. I look what your illness is doing to your soul. That is to put a man in the centre – to see his soul, save his soul, to see his inner self, to see his desires, his dreams, his hopes, which are broken because he cannot do many things. Jesus sees his life, he came to save him, he came, so that a man can live”. The National Youth Meeting LEDNICA 2000 is Poland’s largest annual meeting of Catholic youth from Poland and abroad. The meeting takes place on the Lednica Fields, at Lednica Lake. This place was chosen because, according to historical records, the baptism of Poland took place on the Ostrów Lednicki island. The initiator of the meeting was Fr. Jan Góra OP, who died in 2015. On the Lednica Fields there are: Arc of the Fish, called the Third Millennium Gate, and the House of St. John Paul II, where the souvenirs from John Paul II are collected. Each year participate in the meeting 80,000-150,000 young people.